Barb Slone | Greene County News Miami Valley residents took a step back in time to the annual Mix 107.7 Time Warp Prom April 14 at Wright State University Nutter Center. Dressed as their favorite 1980s Icons the Blues Brothers, Madonna, Boy George and many others could be seen dancing into the night. Mix 107.7 DJ Jeff Stevens (second from left) and his local band Stranger was the featured performer for the dance. He and other DJs led the Annual Frickers Chicken Dance. Miami Valley residents took a step back in time to the annual Mix 107.7 Time Warp Prom April 14 at Wright State University Nutter Center. Dressed as their favorite 1980s Icons the Blues Brothers, Madonna, Boy George and many others could be seen dancing into the night. 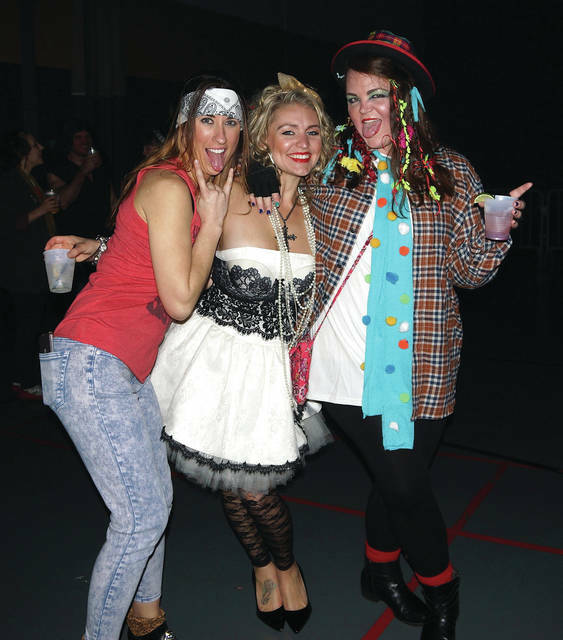 https://www.fairborndailyherald.com/wp-content/uploads/sites/50/2018/04/web1_TimeWarp00.jpgBarb Slone | Greene County News Miami Valley residents took a step back in time to the annual Mix 107.7 Time Warp Prom April 14 at Wright State University Nutter Center. Dressed as their favorite 1980s Icons the Blues Brothers, Madonna, Boy George and many others could be seen dancing into the night. 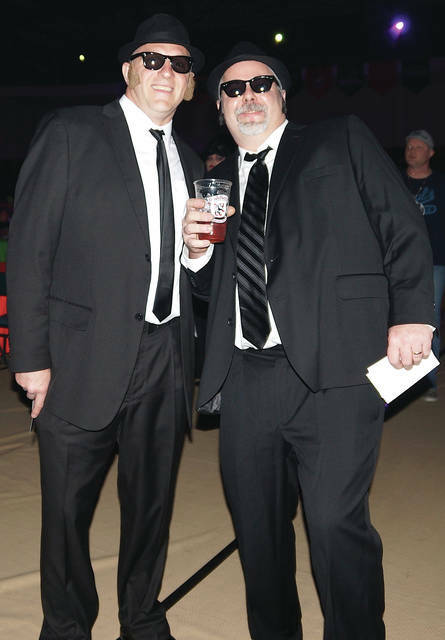 https://www.fairborndailyherald.com/wp-content/uploads/sites/50/2018/04/web1_TimeWarp03.jpgBarb Slone | Greene County News Miami Valley residents took a step back in time to the annual Mix 107.7 Time Warp Prom April 14 at Wright State University Nutter Center. Dressed as their favorite 1980s Icons the Blues Brothers, Madonna, Boy George and many others could be seen dancing into the night. https://www.fairborndailyherald.com/wp-content/uploads/sites/50/2018/04/web1_TimeWarp04.jpgMix 107.7 DJ Jeff Stevens (second from left) and his local band Stranger was the featured performer for the dance. 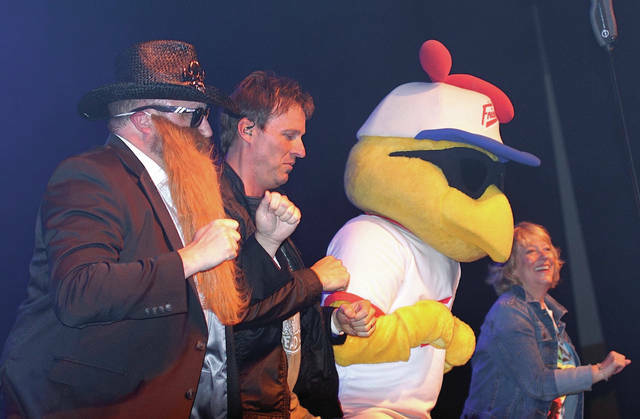 He and other DJs led the Annual Frickers Chicken Dance. 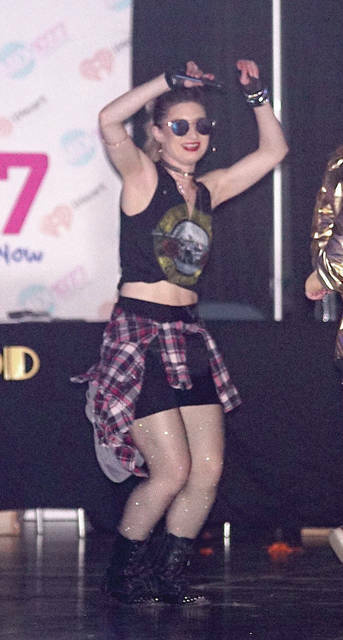 https://www.fairborndailyherald.com/wp-content/uploads/sites/50/2018/04/web1_TimeWarp08.jpgBarb Slone | Greene County News Miami Valley residents took a step back in time to the annual Mix 107.7 Time Warp Prom April 14 at Wright State University Nutter Center. Dressed as their favorite 1980s Icons the Blues Brothers, Madonna, Boy George and many others could be seen dancing into the night.